The Tech baseball team kicked off its 2013 campaign with a weekend series sweep of the Akron Zips, winning all three games by scores of 3-0, 10-3, and 5-3 at Russ Chandler Stadium. Senior RHP Buck Farmer started the season off in a big way on Friday, pitching eight complete innings and recording a career-high 14 strikeouts while only giving up four hits. Farmer, who was drafted in the 15th round of the MLB draft last season but elected to stay at Tech for his senior season, earned ACC Pitcher of the Week honors and was also named Louisville Slugger National Player of the Week for his performance. The final score was 16-5 in favor of the Jackets, who had 18 hits. Across the three games, the Jackets had 32 hits, but had trouble finding their rhythm on offense in the season opener. In Saturday’s game, freshman second baseman Matt Gonzalez and junior right fielder Daniel Palka helped get the bats going with strong outings. Gonzalez went 3-3 and recorded an RBI and two stolen bases, while Palka finished 4-4 with a homerun, the Jackets’ first of the season. Later that week, the Jackets hosted their crosstown rival, the Georgia State Panthers, in a Tuesday afternoon matinee. Tech opened up the game with a three-run first inning, with help from senior third baseman Sam Dove and Gonzalez. Gonzalez pulled one down the third base line to bring home senior center fielder Brandon Thomas and sophomore catcher A.J. Murray home for a quick 3-0 lead. The Panthers answered in the top of the second with a two-run homerun, making the score 3-2. That’s the closest the Panthers would get, however, as the Jackets would go on to score at least one run in the next six innings. Tech did a good job spreading its offense around, with many players contributing. Gonzalez hit his first career homerun in the third to put Tech up 6-2. 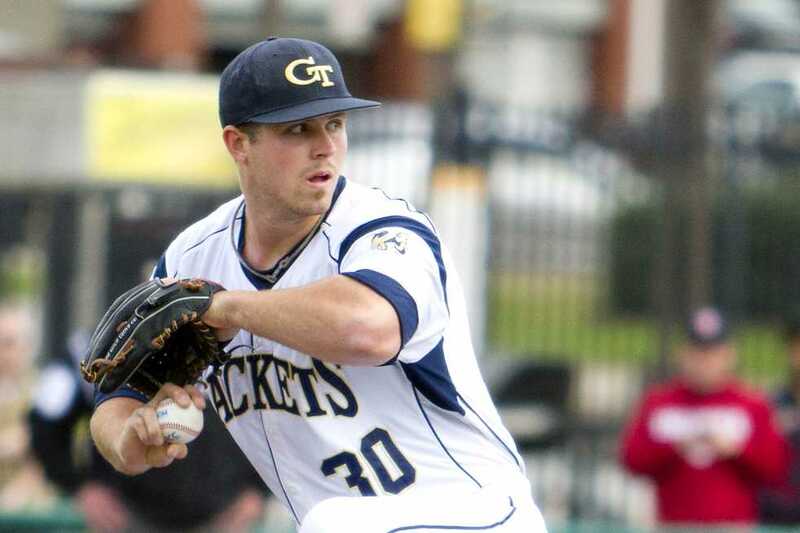 RBIs by Thomas, Palka and junior shortstop Mott Hyde helped pace the Jackets’ scoring effort. The final score was 16-5 in favor of the Jackets, who had 18 hits. The winning pitcher was sophomore RHP Josh Heddinger, who collected his first win of the season after a five-inning outing in which he gave up four earned runs on four hits. Freshman LHP pitcher Sam Clay got to see his first playing time as a Jacket, as he was brought in to face a single batter, whom he retired. Tech’s winning ways are expected to continue if its offense keeps swinging the bat like it is. Gonzalez, despite being a freshman, is batting .615 and currently leads the team. This, combined with strong and consistent performances by Tech’s veterans such as Thomas, Hyde, Palka and Dove, bodes well for the Jackets, who look to repeat as ACC champions this year. The No. 20 ranked Jackets will take on St. Johns this weekend in a three game series, with the first game being on Friday at 4 p.m.